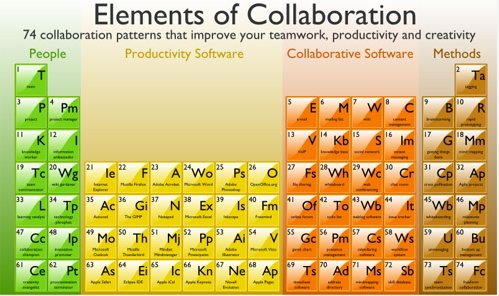 Here’s something to add to my growing collection of maps – a “periodic table” of the tools, technologies and approaches you can use to support collaboration by Lars Trieloff of Mindquarry. Each element has a set of notes to explain the elements in detail, so navigate to the full version here. Thanks to Arthur Shelley via actKM for this!